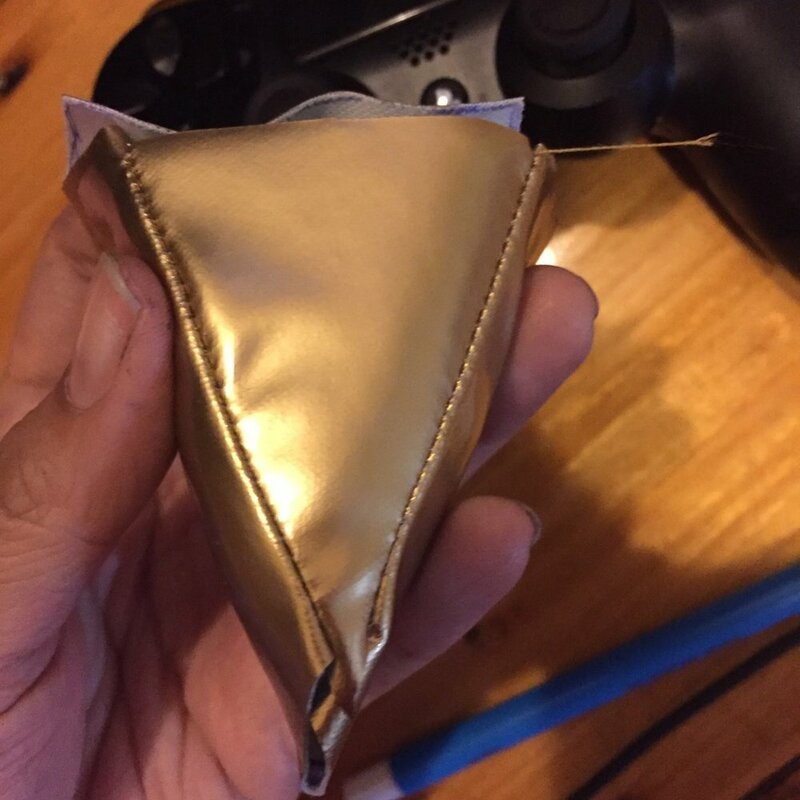 I cut out the shape from upholstery foam and sewed a little pouch out of the same vinyl I used for the cape where the foam would go in. I left a hole in the bottom so I could pull the tassels through. 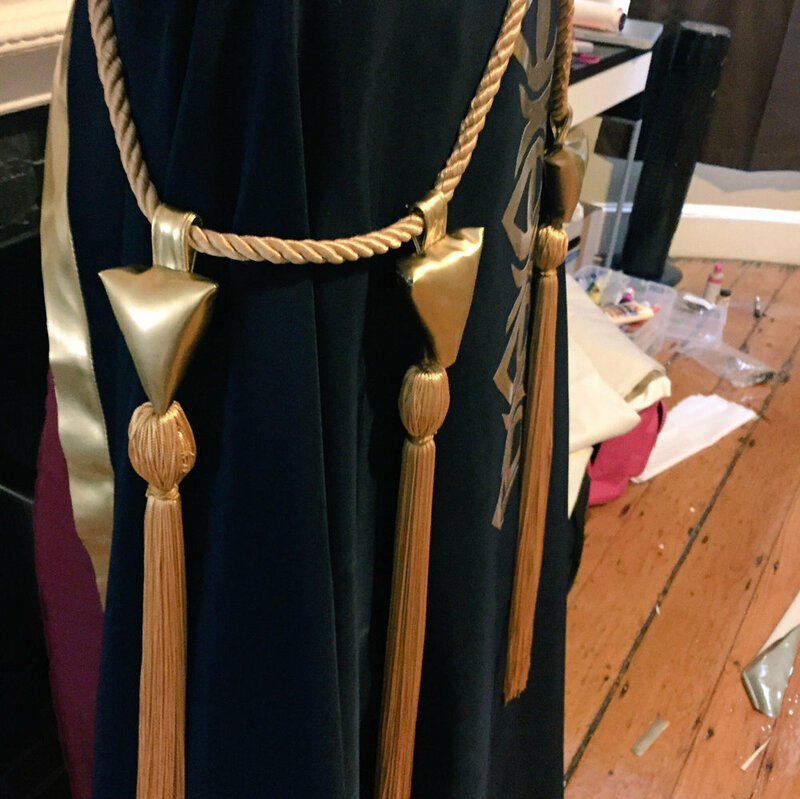 I also made the tassels myself! 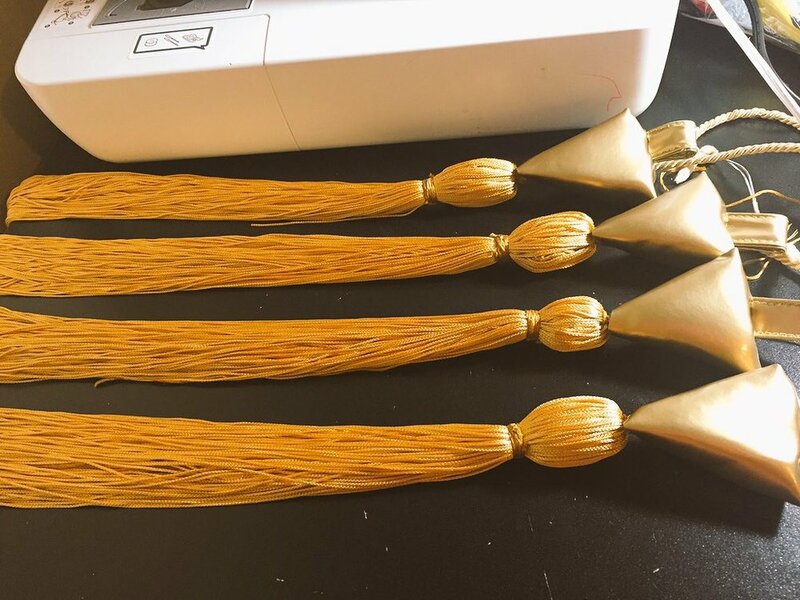 I couldn’t find tassels long enough (I wanted them to be exactly 18 inches) so I made my own from fringe using this method.